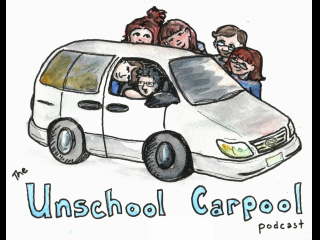 The Unschool Carpool | Listen Free on Castbox. A podcast about unschooling brought to you by the admins behind Christianunschooling.com and the Christian unschooling Facebook group and page. (How exciting....) Right now it is just me, Heather Young, talking because I am the only one with time, and all while driving to and from work.. so no script...whheeee. But eventually we hope to have the others involved, as their lives get a little less involved. We talk about unschooling, answering various questions parents have asked over the years of running the Christian unschooling website, Facebook page, and Facebook group.